Economic recovery is projected to accelerate from an estimated 2.1% last year to around 3% p.a. in 2018-2020, mostly thanks to an expected recovery of exports. 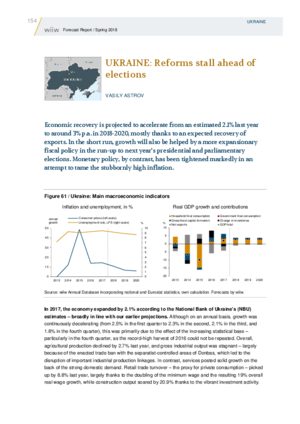 In the short run, growth will also be helped by a more expansionary fiscal policy in the run-up to next year’s presidential and parliamentary elections. Monetary policy, by contrast, has been tightened markedly in an attempt to tame the stubbornly high inflation.